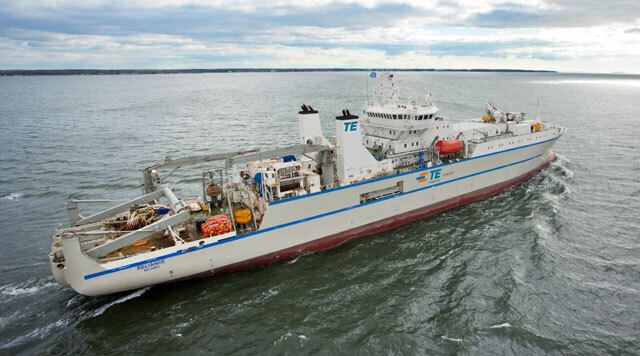 eFive Telecoms, the company behind the South Atlantic Express (SAEx) submarine cable system that will link SA with Brazil, has signed a supply agreement for the construction of the system with TE SubCom. The value of the deal could not immediately be established. The two-fibre-pair system, offering 80x100Gbit/s per fibre pair, will stretch for 9 900km from SA to Brazil, from where it will join other cable systems to provide access to North America and Asia. En route to Fortaleza in Brazil, SAEx will connect Mtunzini, East London, Port Elizabeth and Cape Town, with an “unrepeatered” spur to St Helena, and a branching unit included to enable further connectivity to West Africa. The cable system will be the first since Sat-3/Safe was built about 10 years ago that will provide a submarine route between Cape Town and Mtunzini, where the Seacom and Eassy systems both land. “SAEx will provide the most direct routing and lowest latency from SA to the Americas, as well as high-speed communications between east and west placing SA at the hub of this network while enhancing the connectivity and reliability of the global submarine cable network,” says eFive CEO Ros Thomas in a prepared statement.